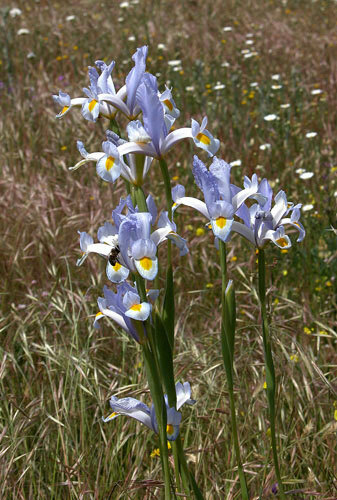 Bulbous irises in subgenus Xiphium are often referred to as Spanish irises even though there are species in this group that are found in other geographical areas besides Spain. They have bulbs with thin, fibrous roots. 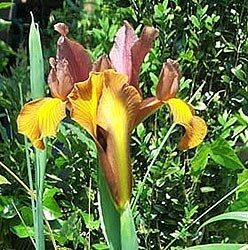 Hybrids in this group are referred to as Dutch Irises and they are listed after the true species on this page. Much of this species information was supplied by Rafa Díez Domínguez. 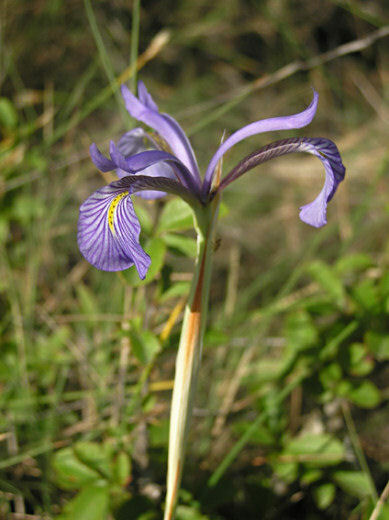 Iris boissieri is an Iberian endemic (Spain and Portugal). 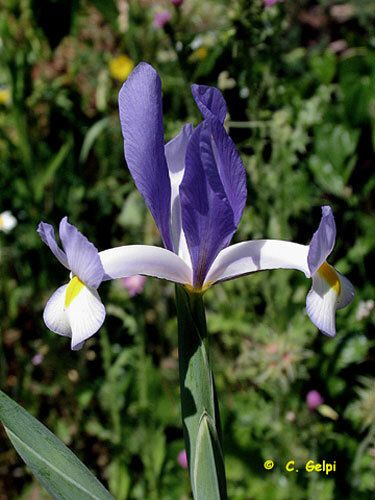 Iris filifolia with two varieties latifolia and filifolia is native to Spain, Gibraltar, Tangier and Morocco. Photo by José Miguel Paneque. 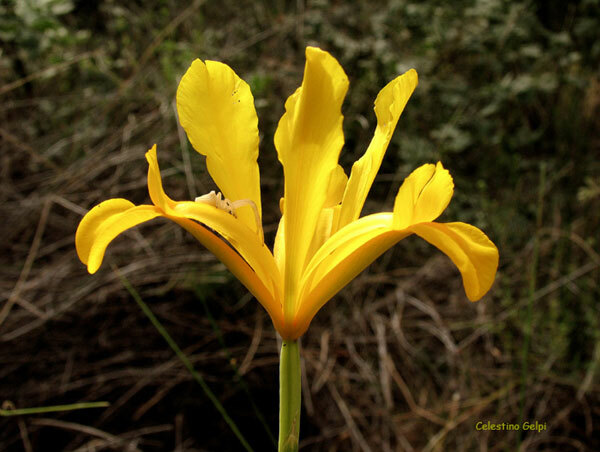 Iris juncea is native to Spain, Sicily and North Africa. 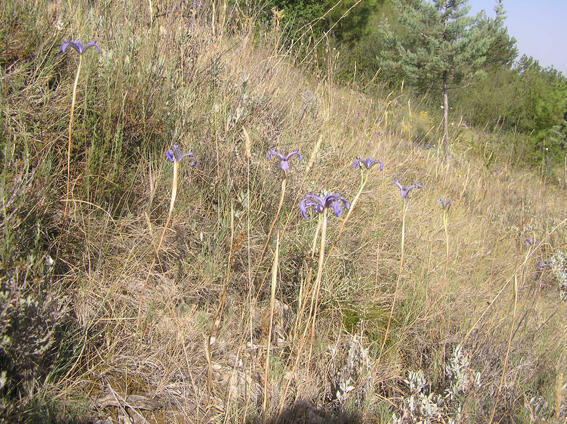 Iris latifolia called "English Iris" by the confusion of authors like Dodens and Clusius, is an endemic iris of Spain and France (Spain in Guadarrama mountain range, between Galicia and Pyrenees). Photo by Marc Ryckaert, acquired from this page and licensed under the Creative Commons Attribution 3.0 Unported license. Iris lusitanica Ker Gawl. is an all-yellow species native to dry, warm and rocky places in Portugal and Spain. 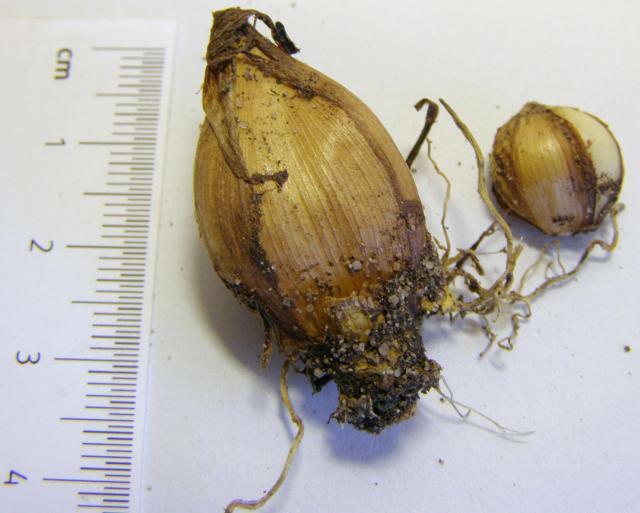 The photo by Peter Taggart of the bulbs shows they resemble the typical Spanish Iris bulb in shape, tunic texture and color. 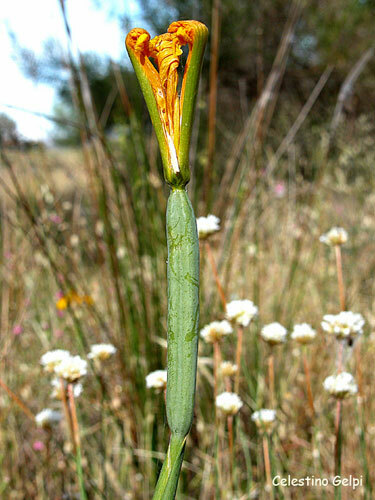 Iris serotina is found in central and southern Spain and northern Africa. Photos taken in habitat by Rafa Díez Domínguez. Iris tingitana with two varieties fontanesii and mellori is from southern Spain and Morocco. 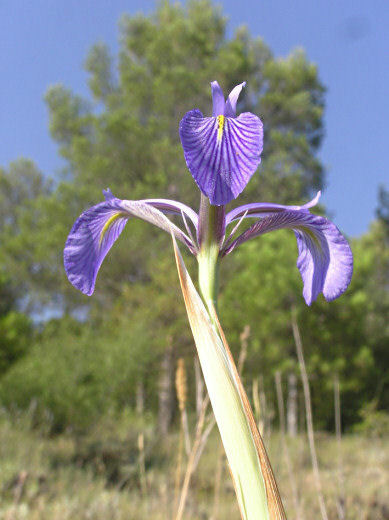 Iris xiphium, which is the Spanish iris this group is named for, is common in southwest France, Corsica, Southern Italy, Portugal, Morocco, Algeria, Tunisia, Gibraltar and Spain. 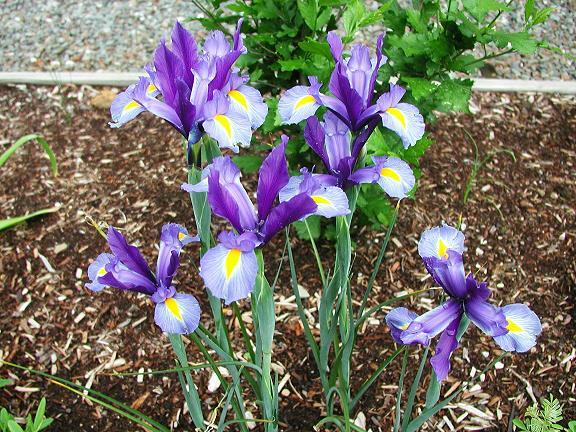 It has handsome blue and yellow flowers and has been used as one of the parents in the many hybrids known as Dutch Iris. There are four varieties. This iris is quite popular in flower arrangements. Photos by Celestino Gelpi. 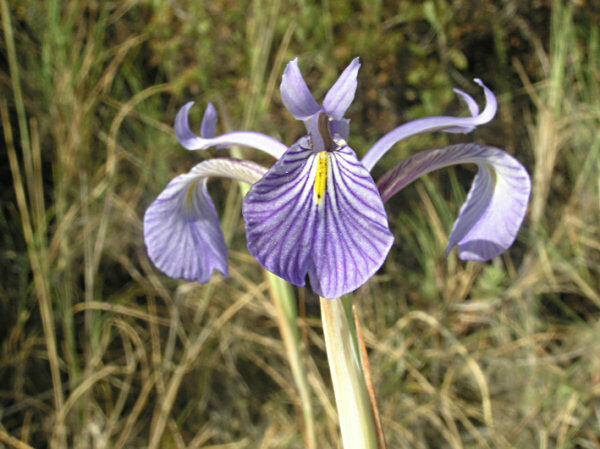 Iris xiphium var. lusitanica is an Iberian endemic, from Spain (Extremadura region) and Portugal. Photos by Celestino Gelpi. Dutch Irises , which are hybrids of Iris xiphium and Iris tingitana and Iris latifolia, sometimes called Iris × hollandica, are shown below. Iris 'Bronze Beauty' This is one of the so-called Dutch iris, flowers probably better known to most people as cut flowers. 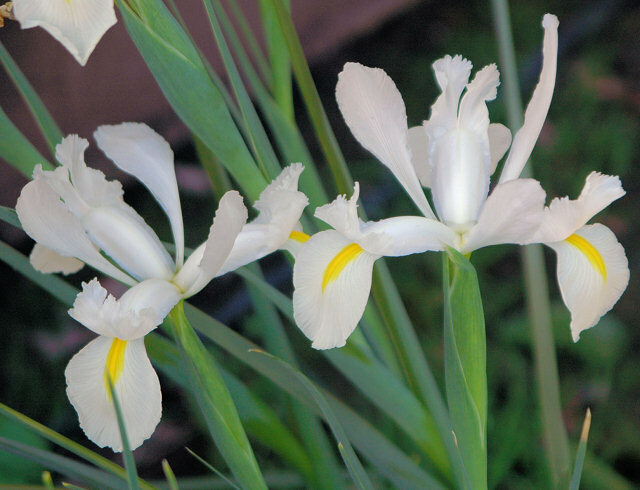 Iris with this brown color were seemingly more common in the past: a list from a century ago shows several in this color range in the similar Spanish Iris group. Years ago I had another handsome one called Le Mogul. Photo by Jim McKenney. Iris 'Oriental Beauty' - Believing that Dutch Iris were rated as Zone 6 thus too tender to be grown in my colder USDA Zone 5 area, I never bothered trying to grow them, and I passed by the bins of Dutch Iris bulbs sold at retail garden centers in the autumn. 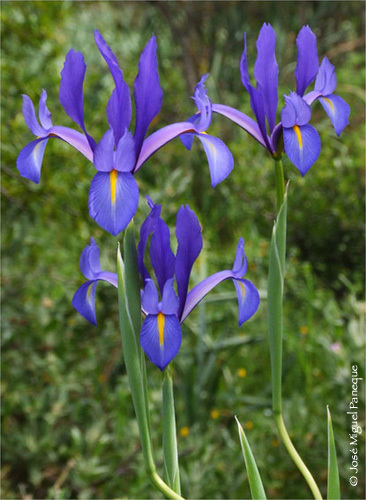 But then I saw splendid displays of these Iris growing at a local area botanic garden, so decided to give them a try. 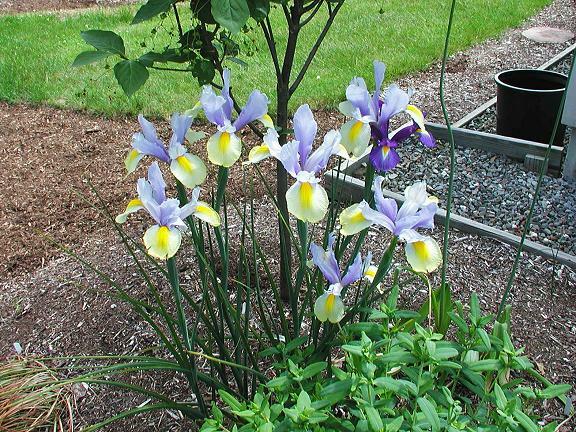 I like these Iris because they stand tall, and tidily neat, narrow, and spare of foliage, thus easily interjected into a planting bed without worry of overcrowding. 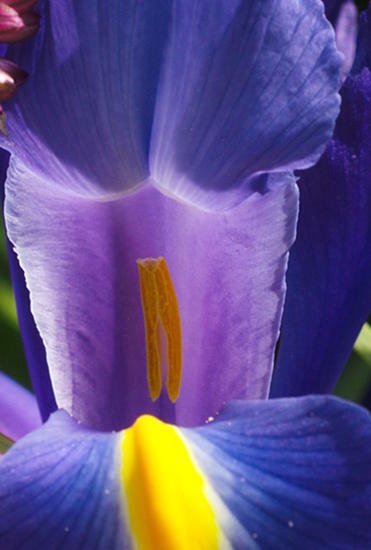 The flowers are large, long lasting, and vibrantly colored. The bulbs are inexpensive, so I'll be trying lots more of these next year. Photo by Mark McDonough. 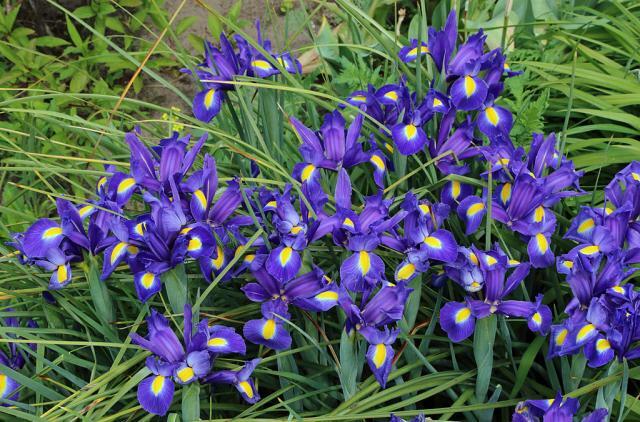 Iris 'Sapphire Beauty' - See comments about the beautiful Dutch Iris under Iris 'Oriental Beauty' above. Photo by Mark McDonough. Iris unknown cultivars The first photo by Mary Sue Ittner is of a Dutch Iris that she does not have a name for. 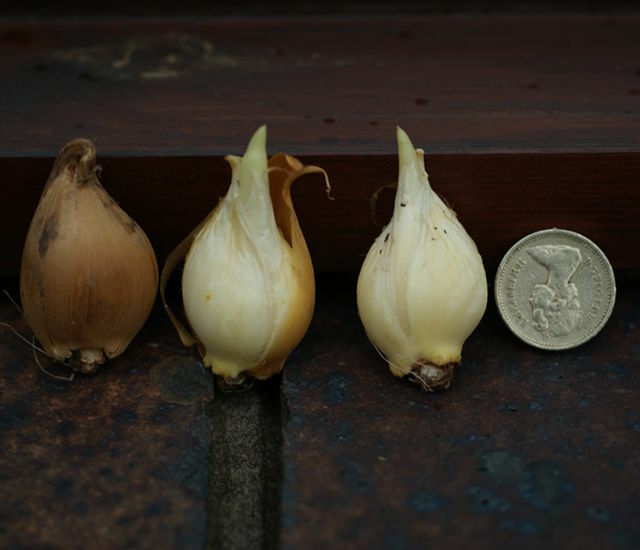 The second and third photographs by David Pilling are of an unknown cultivar and its bulbs.